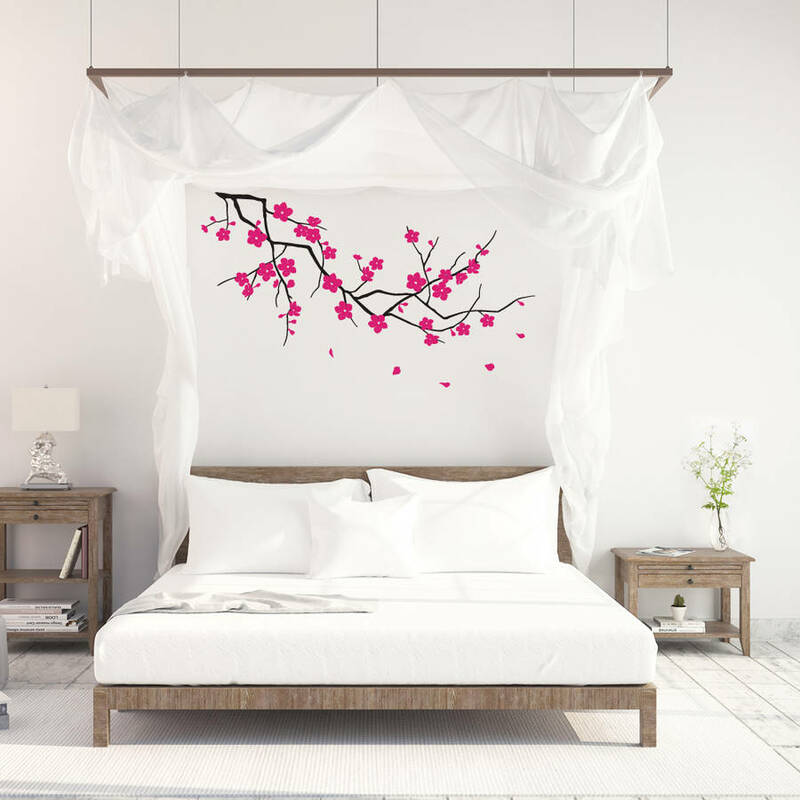 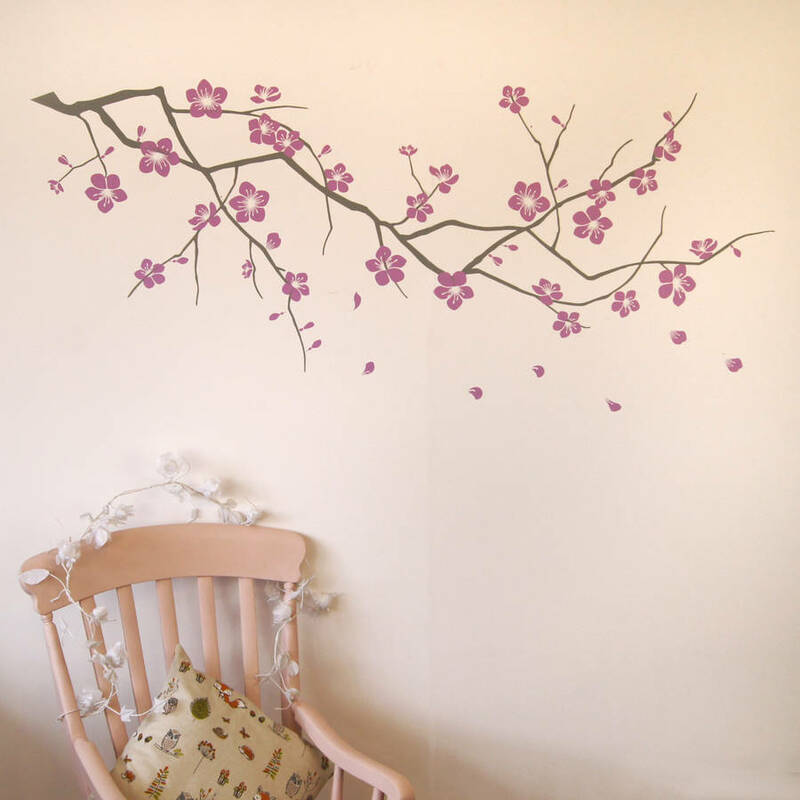 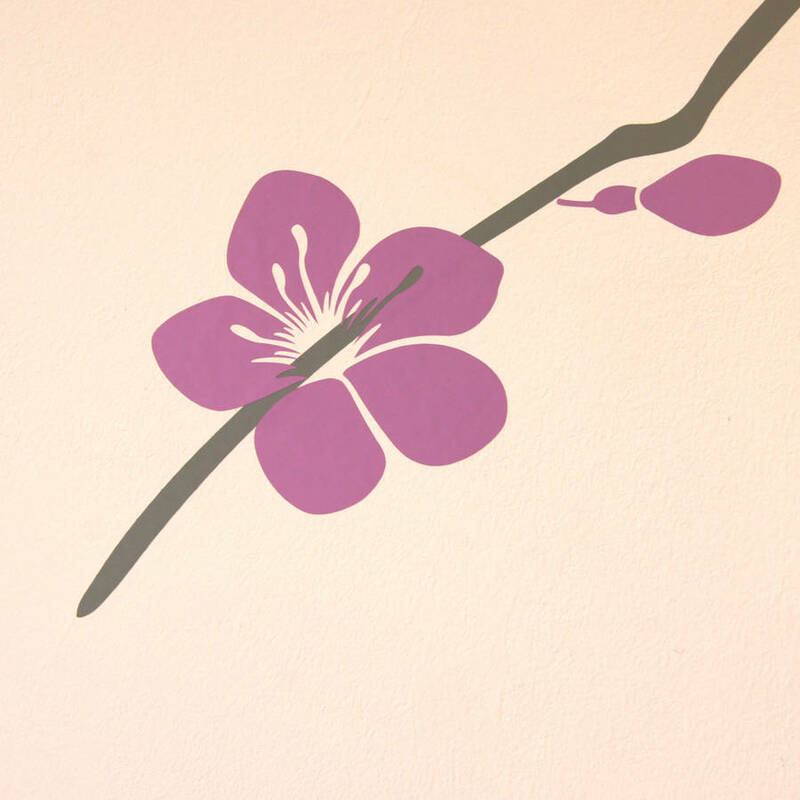 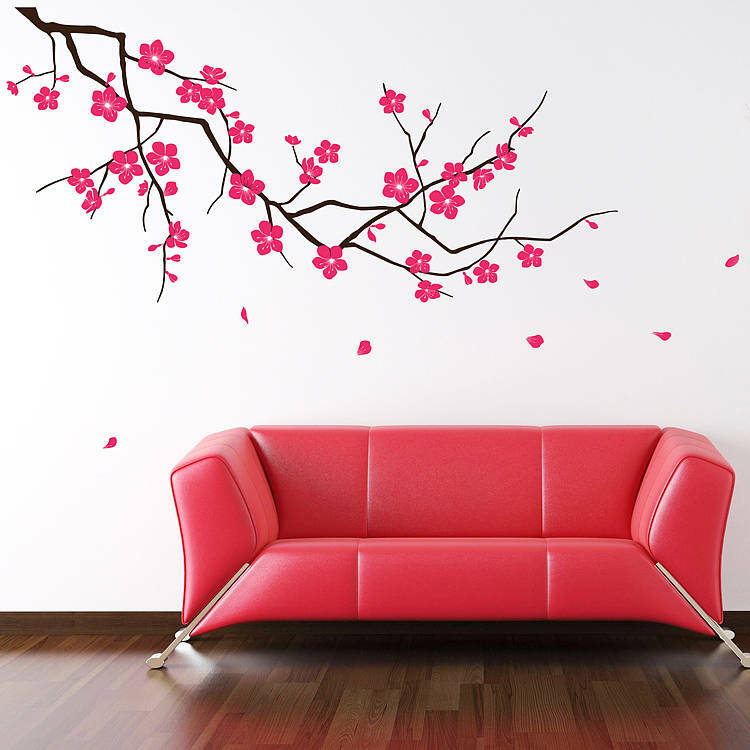 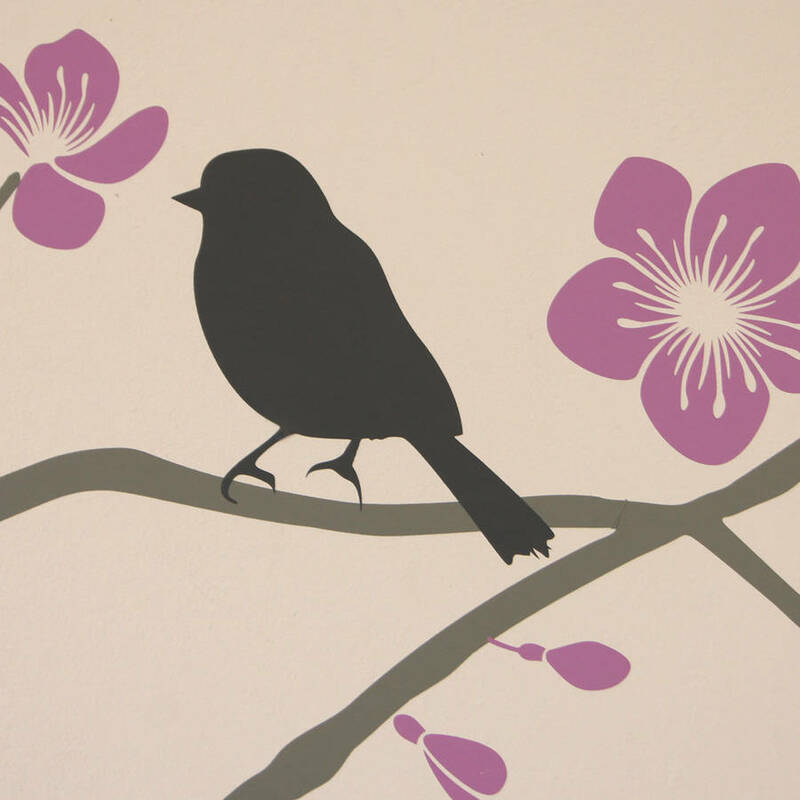 A beautiful branch with falling blossom wall stickers. 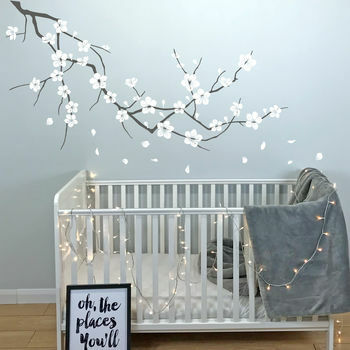 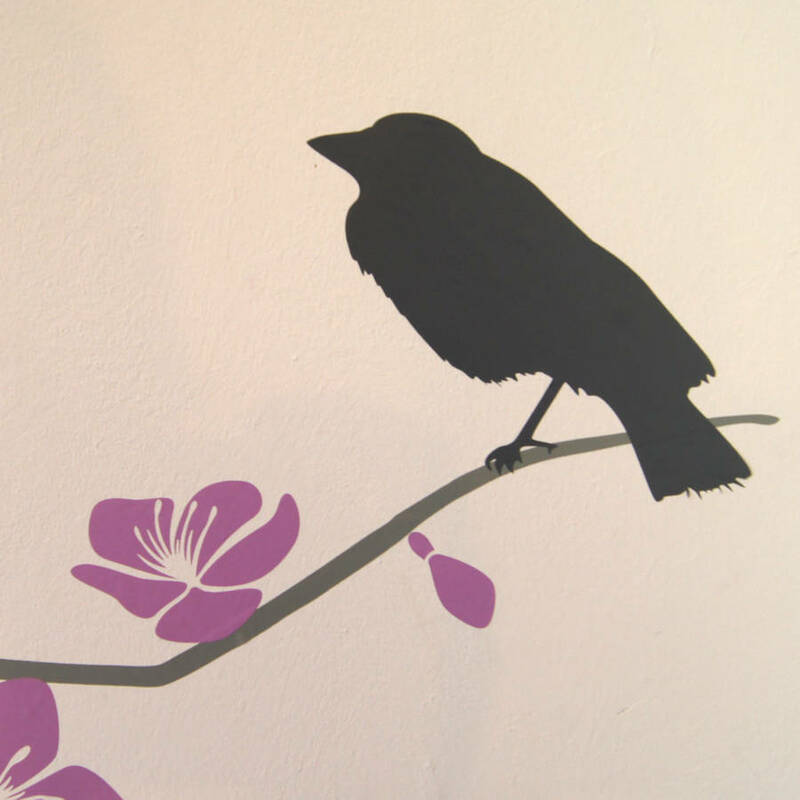 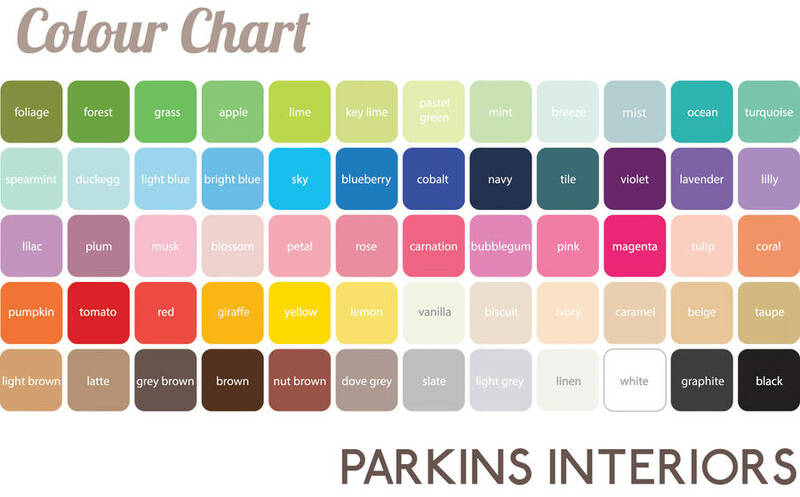 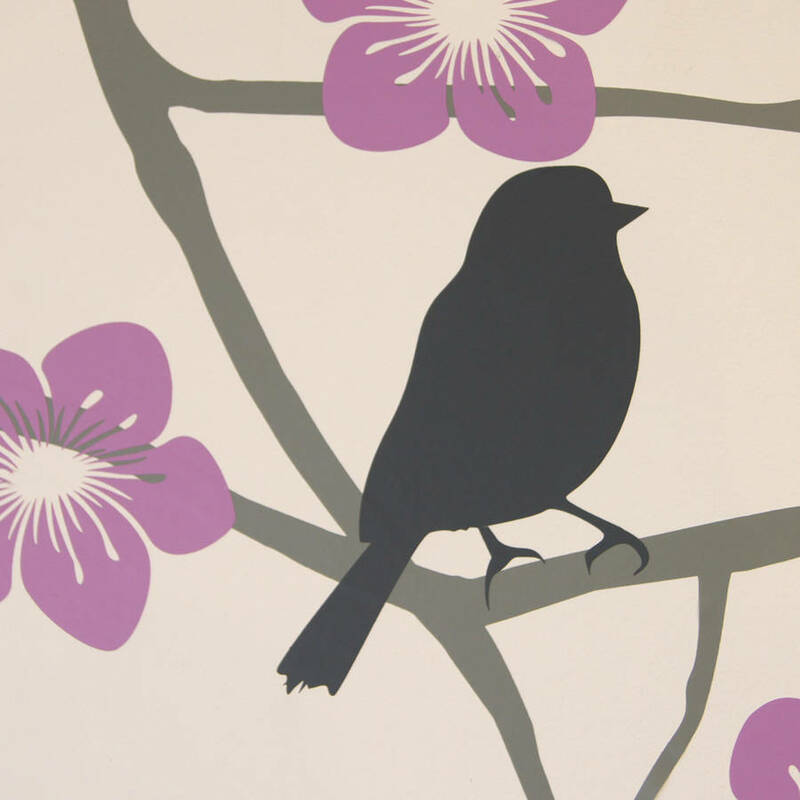 Our designer wall stickers are the perfect choice if you are looking for a stylish and affordable solution for decorating your babies nursery, child's bedroom or play area. 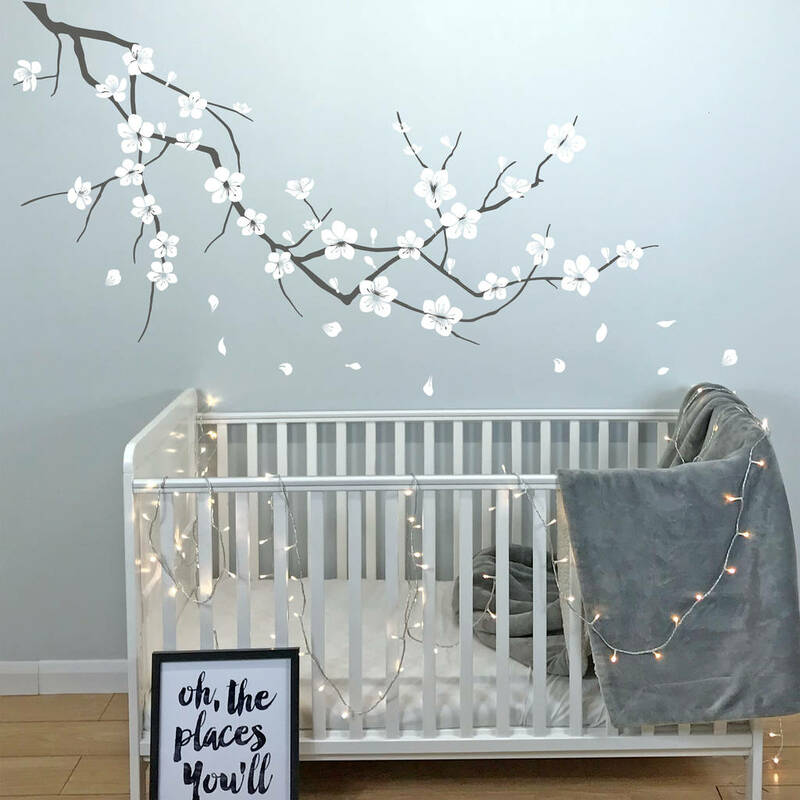 This sticker will add colour and a touch of nature that will instantly change the look and feel of the room and create a talking point for your child to be proud of. 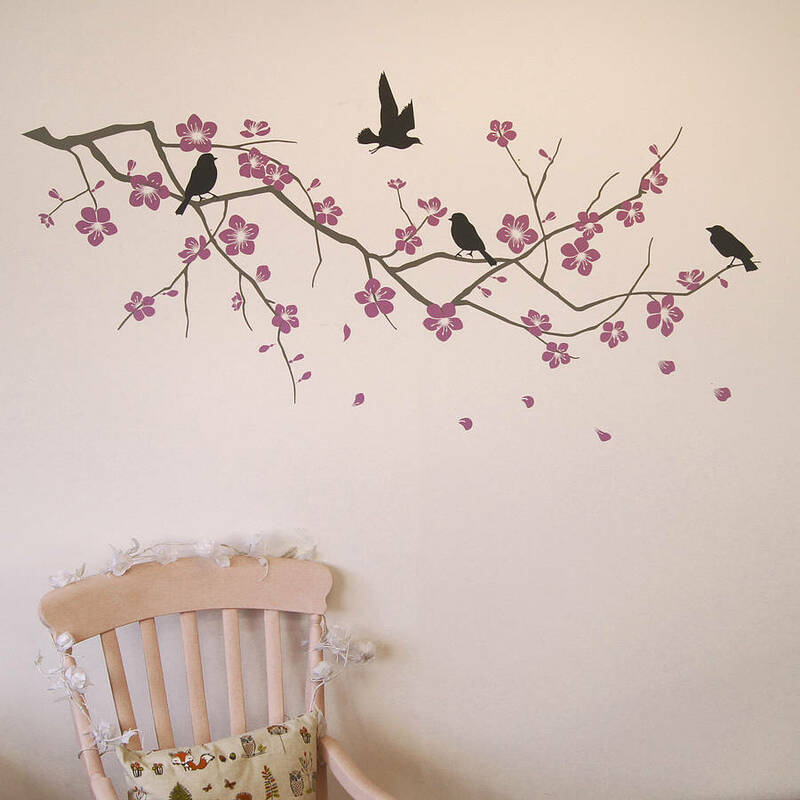 This wall sticker can be produced as shown (flowing from left to right) or mirrored (flowing from right to left).